As a kid, I never ordered a deep sea submarine off the back of a cereal box only to discover it was a lousy little model. 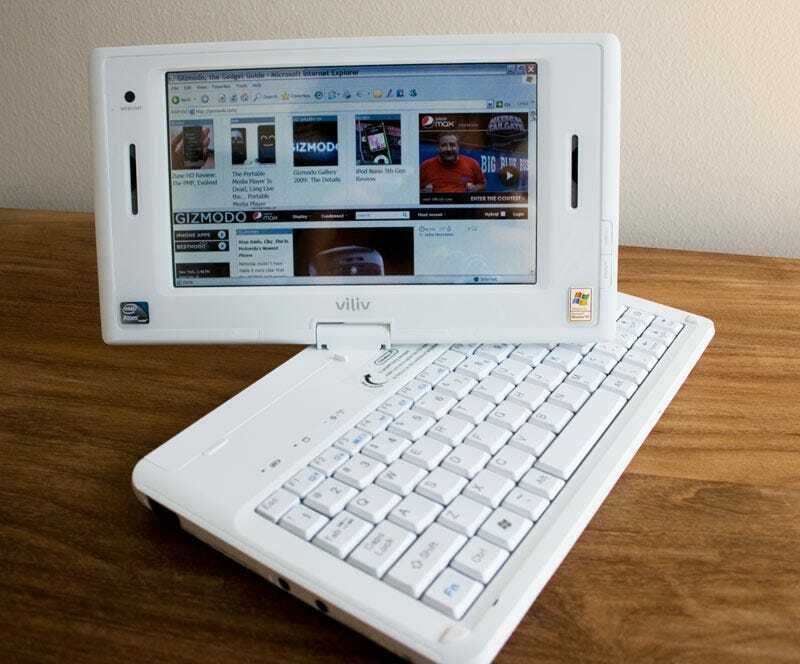 But I did fall for the promise of the Viliv S7 convertible netbook. A lousy screen ruins the entire experience. At 1.76lbs, the viliv S7 sounds like a small machine. And compared to your average 10-inch Atom netbook, it really is. But the viliv S7 never feels small...not like its little brother the viliv S5. Because as soon as you swivel the screen from netbook mode to tablet, it feels bulkier, heavier and completely unfun to use. The screen to case ratio isn't all that great, but that's the least of the problems in the tablet design. The resistive display is covered in what feels like a crumby screen protector that requires awkward, hard presses to open folders reliably—never with stunning accuracy. (Friendlier capacitive tech is what you see in devices like the Zune HD and iPhone.) It's dim at even the brightest settings. And worst of all, the glare is so bad that you can't use it at all near a window. UPDATE: On second look, the brightness is adequate, but its propensity for glare is atrocious. And I use a glossy Macbook. This may be the only LCD in history with a more discernible side viewing angle than you get head-on. A pivot button rotates your desktop quickly from portrait to landscape modes in a full 360-degree rotation (which is great for the old upside down laptop screen trick). And the placement of the trackpad, right up by the screen, is so comfortable and convenient that it should be a netbook standard. But these smart design elements, even when coupled with a battery rated for nearly a day of use, just can't thwart the fatal mistake of a complete piece of crap display, the centerpiece of any tablet. Oh, but the fold-out Wi-Fi antenna is ADORABLE.